The Water Golf On City Island is an 18 hole miniature golf course located in downtown Harrisburg over on the beautiful city island which is nestled on the Susquehanna River. If you live in the Harrisburg Pennsylvania area you know by now that one of the best places to go and play miniature golf happens to be over on City Island. 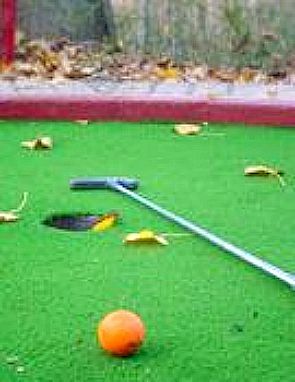 The mini golf course is open April through October...weather permitting and the schedule changes throughout the season so make sure you check their website out for the most up-to-date information. It is a beautifully laid out course that both children and adults will enjoy and makes for a great family outing. Current prices for the 2011 season is $6.00 for adults and $5.00 for children. Prices are subject to change, see their web site for the most current & up to date information. So if you are looking for a little fun in the Harrisburg area that doesn't cost a lot of money we suggest heading over to city island for a round (or two) of miniature golf! While you are over on the island you can also grab a quick lunch, snack and have some other fun with the various other activities that they have to offer.